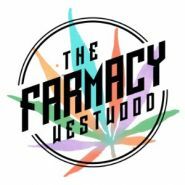 The Farmacy Westwood is pleased to open their doors to recreational marijuana customers 21+ in Los Angeles. The dispensary is filled with cannabis products from local industry professionals and offers affordable prices on top marijuana products. The Farmacy Westwood staff complies with California Proposition 64 and is readily available to assist Los Angeles cannabis customers in-person or over-the-phone. The Westwood Farmacy is located in the heart of Westwood Villages, across from Whole Foods on Gayley and Weyburn Avenue. The neighborhood offers free two (2) hour parking at 1036 Broxton Avenue parking structure. The Farmacy welcomes every adult, recreational and medical, cannabis customers from all over Los Angeles, Brentwood, Beverly Hills, Century City, Rancho Park, and even from other countries!